LIFE FOREVER + MASTER YOUR DESTINY. You will walk away from this experience completely unrecognizable to your former self! Get ready to make your inner desires…. your everyday reality. Get ready to dive deep, shift your mindset and soar. Get ready to Master Your Destiny! Maggie 5X'ed her new monthly income after our very first call! Jessica pivoted her business to be aligned with her soul purpose + values, while concurrently making an impact, creating a thriving community + launching a podcast! "Bri is who I call my 'big catalyst' - I credit her with helping me break out of my shell to finally show up in the world as the entrepreneurial, fun-loving, inspirational woman I know I am. I would not be who I am and where I am today without Bri in my life." Lamar went from struggling actor to a full-time equity actor with a consistently booked calendar of theater, commercial and modeling jobs and agents knocking on his door. "Bri equipped me with tangible tools that systematically led me to the success I've always dreamed. She got me to connect the dots of my life, set me firmly on my path, and helped to realize that my own brand of brilliance had been there all along. I know without a doubt that she changed my life." Molly has licensed songs to Hulu, Sephora + Victoria's Secret, is consistently writing + releasing new music and recently opened for Odesza at Red Rocks Amphitheater! "Working with Bri helped shed light on my strengths and weaknesses and specifically how to use them as stepping stones to new opportunity in my life. I continue to be inspired to practice the exercises she taught. Thank you, Bri! I'm so happy to have you in my life." Laura left behind a life filled with 'should's in order to create a soul-filled, purposeful business and fulfill her life's calling! "My entire life changed working with Bri. With her knowledge, tools, support, and insights I have been able to step into the woman I am today with confidence. Bri has helped me bring my vision to life and now am proud to say I have created a business that I am so excited about." 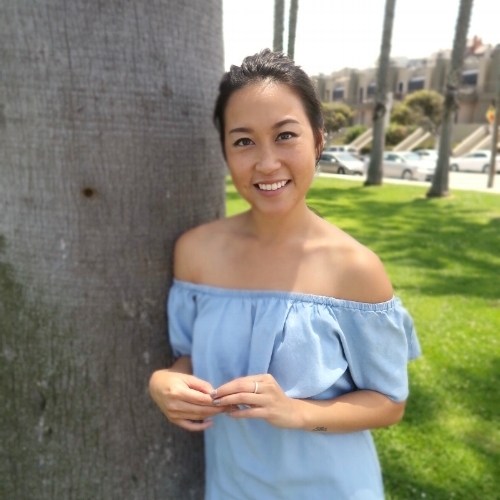 Mi-Ri has successfully created an event planning business aligned with her passion + purpose - all while helping others (and herself) make more money in the process! "I want to thank you so much for starting me off on this amazing journey! I can honestly trace it back to you. This is only the beginning!"